Do you live in a country that has a thing for blocking websites or you just don’t want to certain agencies such as NSA snooping around your activities on the web. If yes, then we have got some great proxy apps for your iPhone or iPad that you can use to access blocked websites as well as browse the internet anonymously. The proxy apps on iOS work just as they do on the web allowing users to access websites through Safari and use apps that feature blocked content or service. 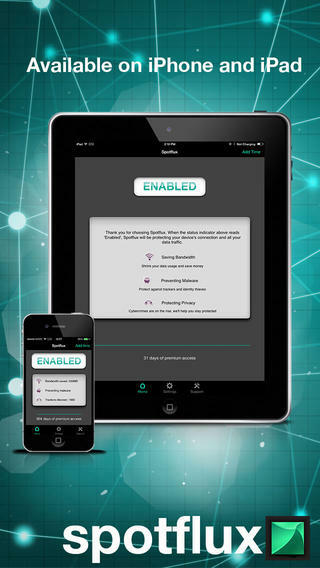 If you are looking for VPN Services for your iPhone, iPad or iPod touch then the Spotflux app is the way to go. It has many useful features that make it a worthy download including the ability to save bandwidth, protection from malware and pro-active privacy defense that keeps your identity private all the time. Spotflux in addition to hiding your IP address also encrypts your incoming and outgoing data. 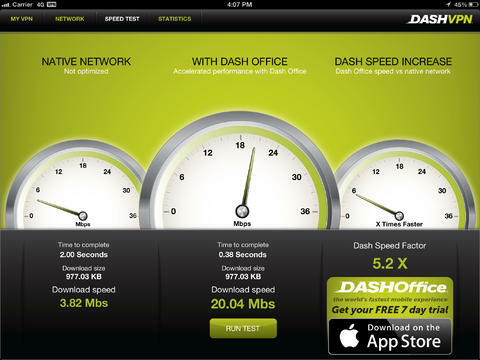 In our test Spotflux VPN performed quite decently and gave good usage speeds. Spotflux is free to try but after trial you have to pay $1.99 for monthly or $5.99 for yearly subscription. The Dash VPN for iPhone and iPad allows users to secure their connection and get access to apps that are not available in their region. The app also tells users how much data they have used with its Data Plan tracker feature. With its fast connection you can also use blocked services like Skype and Youtube without any problem. You can get the Dash VPN app for free. It comes with a subscription model that starts from $0.99 per month. Cargo VPN is a cross platform VPN service, which will allow you to do anonymous web browsing and have access to blocked websites on both iOS and Mac. If even has a Watch app, which will make it easier for you to turn on it on or on your devices. With Cargo VPN you can choose from a long list of server locations, have personal IP, personal server, DNS firewall and great speeds. With a single subscription you can have unlimited VPN on up to 5 devices so all your gadgets will be covered. Cargo VPN offers a 24 hour trial, after which it costs $9.99 a month or $49.99 for a whole year. Hotspot Shield is one of the most popular VPN service for desktop and it is also available on iOS through its official application. 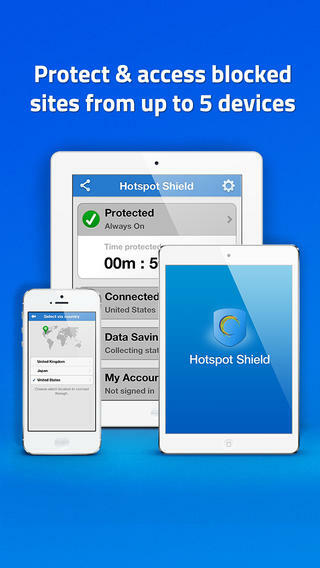 Hotspot Shield for iOS just like other apps mentioned on this list of great VPN apps for iPhone and iPad provides access to off-limit websites and online services in addition to providing encrypted and anonymous connection. You can download it for free from the App Store. You can try HotSpot Shield for free after which you have to take subscription that starts from $0.99. 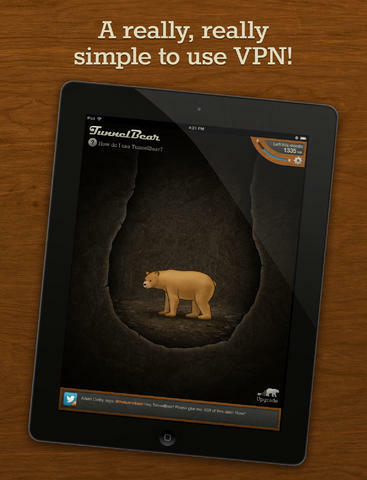 The TunnelBear VPN for iOS is one of the best internet proxy apps for iOS out there. Just like any other VPN it is easy to use and lets you escape the shackles of censorship. TunnelBear provides fast browsing and downloading speeds and works without a problem. Its subscription start from $2.99 per month. The Faceless VPN Connection is a relatively unknown service when compared to the ones mentioned above but it works. It provides users with same features including the secure encrypted tunnel and access to blocked sites and services. With Faceless you get 1GB per month for free, anonymous web browsing, offshore IP address and more. The subscription for this service starts from $1.99 per month. 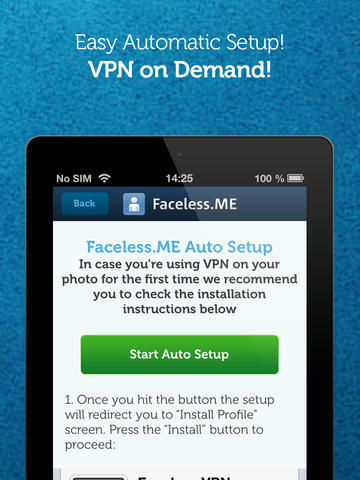 You can get the Faceless VPN Connection app for free from the App Store using the link below.